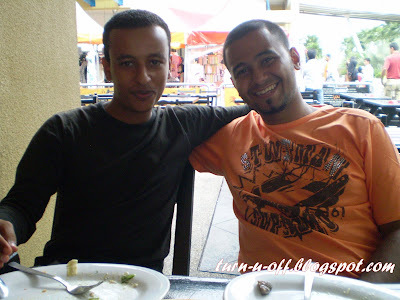 with two Saudi Arabian boys, Salleh and Asim. 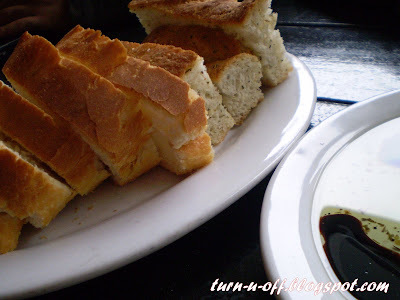 Foccacia and Tuscan bread with balsamic vinegar and olive oil for starters. 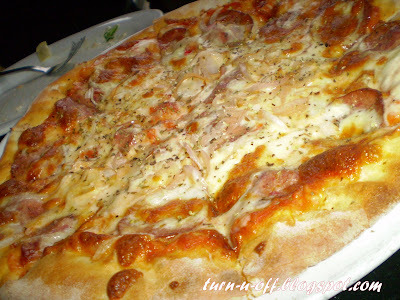 Come to Italiannies, of course must order pizza! 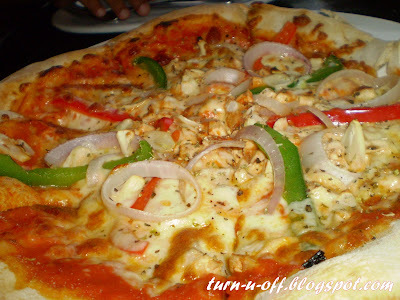 Garlic Chicken Pizza (RM29.90). The crispy crust is not as thick as that found on a typical American pizza. Beef Pepperoni Pizza (RM30.90) toppped with lots of cheese. I prefer this one!! 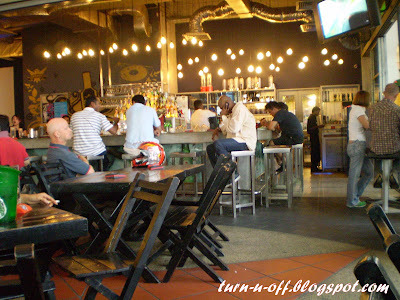 Four of us ordered - beer (RM10.43), Iced Cafe Latte (RM7.90), two glasses of mango juice (RM7.50 each) and two glasses of soft drink (RM5.80 each). The total bill was RM151.40. Needless to say the food is delicious and served in generous portions (So Good.So Much.So Share!) with no space to accomodate any desserts. my family loves eating at itallani's too. our fave... pizza. 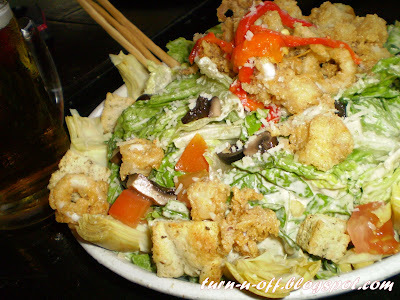 I love the Calamari Caesar Salad :D I think I'll try to whip it up for dinner tonight ... urrrmmm ... but first I need to go look for some calamaris first ... LOL! Hi Monica, I'm not a pizza guy nor shushi....maybe a Kentucky chicken. 22 years here, only been to McDonalds 3 times, twice to meet friends for coffee, once to eat. Your dishes look good...not cheap too, huh? I guess as I get oder my taste in food not so like old days, not I eat to live, not live to eat, ha ha. Lee. ya, it seemed quite pricey!